& the 1-mile is free! Or, print the flyer and mail your entry in! is a community tradition. 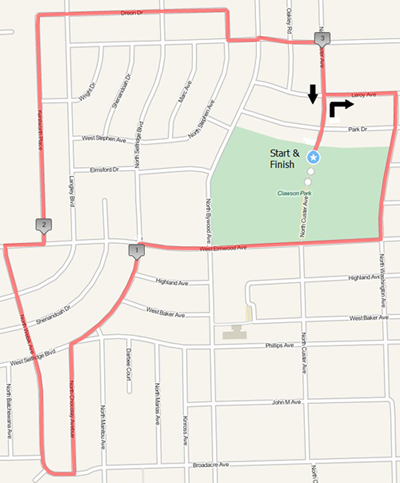 This unique evening race travels the tree lined streets of Clawson. Runners are cheered on by residents as they wind their way through the idyllic neighborhood. Race Day Registration and packet pick-up is from 6:00–7:15pm. Clawson City Park, on Elmwood (14 1⁄2 Mile) between Crooks and Livernois. Registration area is at the Pavilion by the Tot Lot. is available from 6:00-7:15 pm. Race-Day Registration is only $20, and will include a t-shirt while supplies last. Starting line is at the north entrance of Clawson City Park. The route patrolled by 36 guards. 1 mile and 2 mile splits are read aloud and there is a water station after two miles. See the map below for the full route. 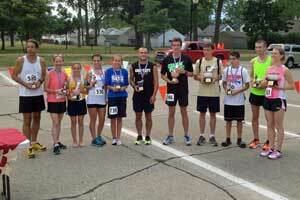 There is a $100 prize for top combined finishers in the 5k Freedom Run and the Firecracker Mile. Runners who compete in both events will have their overall finish places summed and the runners with the lowest score will win. In the event of a tie the tying runner with the lowest combined time will win. Trophies will be awarded to the top 3 men and top 3 women, as well as the top man and top woman in each age group. Medals will be awarded to the first 50 men and first 50 women to cross the finish line. Pre-Register for both races for only $20! Register before June 12th to be guaranteed a shirt in your size with the new logo! T-shirts will be available to race-day registrants on a first come-first-serve basis until they are gone. The race will begin at 7:00 p.m. Awards will be given to the top 3 boys under the age of 13 and the top 3 girls under the age of 13. This is a FREE race. Pre-register online for FREE and order a t-shirt for only $5. Registration will be open on race day as well. 2018 Freedom Run 5k Results! 2018 1-Mile Run Run Results! 2017 Freedom Run 5k Results! 2017 1-Mile Run Run Results! 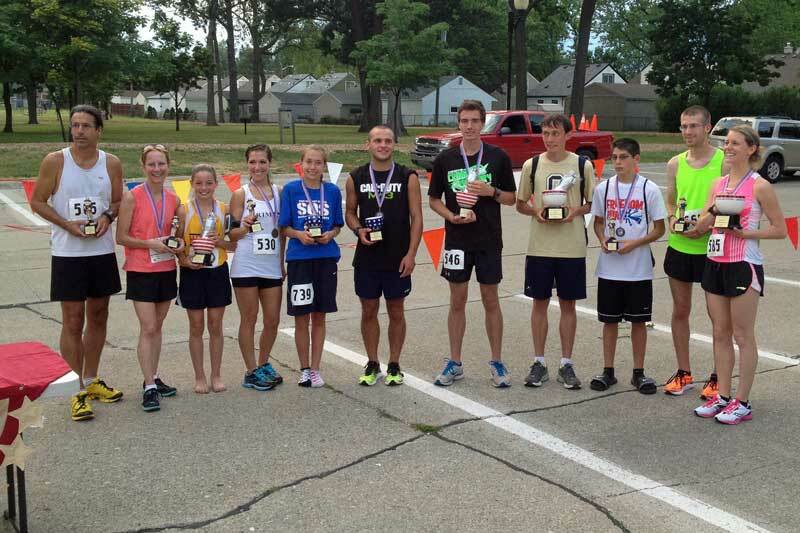 2016 Freedom Run 5k Results! 2016 1-Mile Run Run Results! 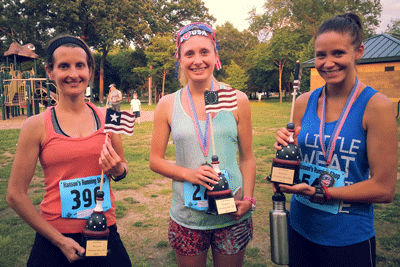 2015 Freedom Run 5k Results! 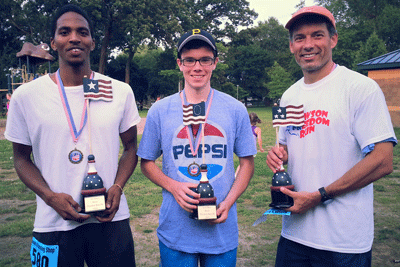 2015 1-Mile Run Run Results! FOr the past couple of years Merlin Elsner has been taking pictures. You can find the photo gallery at runmichigan.com, or by following the links below.